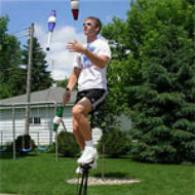 A Unique Entertainment, Inc. can provide you with all forms of performers and entertainment for your upcoming event. We cater to weddings, corporate events, surprise birthdays, engagements, anniversaries, Sweet 16's, bar mitzvah and bat mitzvahs, grand openings and more. Have an idea for a party and need help pulling it together? We can help you! AUEI has a crew of Circus Performers, Stilt Walkers, Fire Eaters, Aerialists, Magicians, Clowns, Face Painters, Balloon Artists, Mentalist, Santa and Mrs. Claus, Easter Bunny, Dancers, Casino Nights, Mystery Dinner Theater, Festivals and much more. Larry Silver specializes in Resorts, Country Clubs and even "Over 55" Communities all over the US, Caribbean & Canada. Also, he performs at Family Religious Retreats every year at Atlantis in the Bahamas and PGA National in Palm Beach Gardens, FL for the past 3-years in a row. If you are wanting to provide good fun to your guests and your next event, book now! 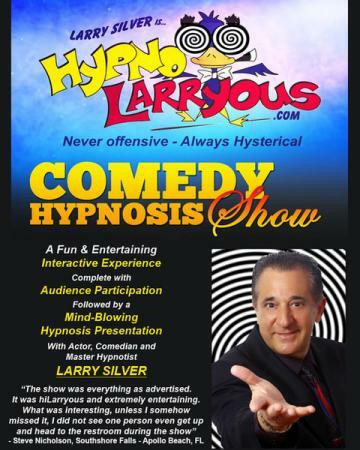 "Larry was very professional and kept us all entertained! He made sure everyone was enjoying the show and took care of our loud audience for us, which I am VERY grateful for because my boss go to sit and enjoy the show. He was HILARRYOUS, upbeat and kind! Thank you, Larry! - Jennifer M.
"This show was so good and so funny! Larry performed at our corporate annual sales meeting, and our crew had a blast! It was a great way to end a long day of training. We laughed so hard! - Barbara D.
"I enjoyed planning my event with Larry. He took the extra steps to make sure the venue was set up for what he needed. He was direct, helpful and anwered his phone during the planning process. He was funny and totally captivated my group which is not always easy. I would hire him again! - Lara F.
"What a show! Larry did an amazing job and kept everybody at our holiday party laughing the whole time! Everybody had a blast, highly recommended!" - Taylor H.
A "G" rated show that is perfectly suited and easily customized for adult, children's and family audiences. GIVE YOUR CORPORATE MEETINGS OR SPECIAL EVENTS AN ADDED ADVANTAGE! Jack Swersie presents a virtual barrage of non-stop stand-up comedy and precision juggling performed with a consistently upbeat and endearing style. His talents have allowed this clever entertainer to tour the grandest theaters throughout the United States warming up hundreds of audiences for over 90 celebrity headliners and earning him the reputation as one of the strongest concert support acts in the business. 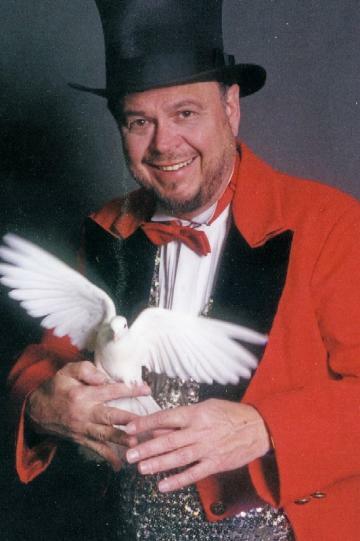 His striking brand of showmanship has taken him to the sophisticated audiences of Las Vegas and Atlantic City and has earned him the opportunity to headline scores of banquets and corporate events. He's also made half-a-dozen cable and national television appearances including a recent featured appearance on Fox News "FOX & FRIENDS." You can combine any of the above to best suit your venue. Sleight of hand performed right under your nose is some of the most powerful magic known. There is no explanation, as it happens so close! Good clean fun for audiences of any size. Perfect for conventions, banquets, corporate functions and special events.It features magic that is large enough for everyone to see. 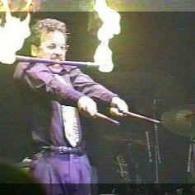 Interactive magic is the highlight, as there are several times during the show that Mr. G brings guest up to help him, which adds to the excitement. 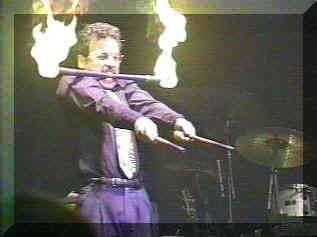 This act blends magic and comedy for a truly entertaining type of show. Mr. G has a talent for making the impossible possible, while engaging his audience with Tongue-in-Cheek Humor. Mr. G will keep people talking about you and your event for years to come! This show is for audiences of 50 to 1000 or more. 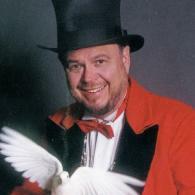 A high energy show with magic, audience participation and grand illusions. The theme and length of the show can be customized to your event. Why not make your child's next birthday party something extra-special, something all the other children will talk about for weeks. Just invite Mr. G to attend the party. He will bring a world of wonder with him! 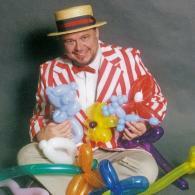 The children will be thrilled by his baffling magic show and each one will take home one of Mr. G's special animals , which he creates from balloons! Mr. G would love to entertain your child and his/her friends, but call early so you can be sure of getting him for your important party.